May 2, 2016 A wave of venture investment into new manufacturing startups looks set to transform American manufacturing. While the foundations for these companies may have been laid in cities like Boston, New York and San Francisco, the startups that are driving this next industrial revolution hail from more unlikely hubs of technology innovation in the smaller urban centers of the Sun Belt and the Southeast. These include cities like Lexington, Ky., in states whose economies were ravaged by the 2008 financial crisis and see redemption in the entrepreneurial energy of startup businesses. 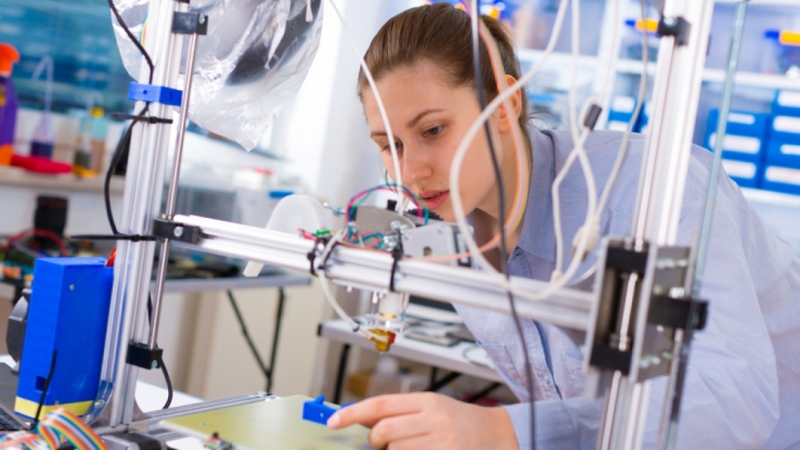 New industrial processes, such as on-demand machining and additive three-dimensional printing, may have a tremendous effect on the U.S. economy. Roughly 33 percent of the economy is fueled by manufacturing and it’s one of the arenas that has been most resistant to incursions from the technology world. Now, all of that is changing for several well-documented reasons. The cost of hardware and infrastructure to support the application of technology in manufacturing has come down dramatically even as organizations are looking to improve efficiency by collecting more data on their processes and determining where there are costs to be saved. Supplying that information and those services are businesses like MakeTime, a Lexington-based startup that recently raised $8 million in new financing led by the Colorado investment firm, Foundry Group. Founded by chief executive Drura Parrish, an architect turned manufacturing entrepreneur, MakeTime is an online capacity utilization marketplace for machining. The company provides a way for computerized machining companies to offer their manufacturing services for customized parts during times when those machines would typically sit idle. By distributing those orders across a number of different manufacturers during their down-times, MakeTime potentially provides a way for companies to do larger production runs at lower prices. Parrish cites his company’s emphasis on using data to provide better pricing information and deeper insights into the true costs of manufacturing as one of the keys to MakeTime’s success. Both additive manufacturing (3D printing) and subtractive manufacturing (machining) are set to play a large part in the future American economy. The machine-tool market is currently $70 billion, and while 3D-printed products were only worth roughly $5.2 billion last year, that number is expected to reach $550 billion by 2025, according to a story in The Economist this week. Driving that value will be early-stage startup companies like CloudDDM and MakeTime, and more mature 3D printing services companies like the New York-based Shapeways and its earlier-stage compatriot in the Big Apple, Voodoo Manufacturing. If the Lexington-based MakeTime is a company making traditional manufacturing cheaper, more efficient, and better able to meet the needs of just-in-time (or on-demand) industrial processes, then just 72-miles-away in Louisville, CloudDDM is trying to make its own mark on the manufacturing business with 3D printing. Backed with $2.5 million in financing from UPS CloudDDM uses its own 3D printers and CNC machines to make parts for customers in plants located minutes away from UPS’s logistics hub in Louisville. “UPS sees the writing on the wall,” says CloudDDM executive Mitch Free. He explained that the company’s supply chain business is aware that as manufacturing becomes more on-demand, companies will either look to manufacture parts on premises and as-needed, or potentially expect their logistics provider to significantly cut down the time to get a part. Just as UPS is experimenting with 3D printing as a way to improve its position in the logistics market, GE Appliances (now owned by the Chinese durable goods manufacturer Haier) has made its own 3D lab in Louisville for prototyping new products with FirstBuild. Initially, a collaboration between General Electric and Local Motors (a Phoenix-based manufacturer of 3D-printed cars), FirstBuild takes the principles of crowdsourcing and crowdfunding that the company toyed with as a partner and investor in the once-mighty startup Quirky, and uses them to develop prototypes of new household appliances. A critical component of that process is the use of 3D printers. When GE was getting ready to release its Opal nugget ice machine, several of the initial components were made with 3D printers, so the company could bring the product to market more quickly. Earlier this year Kerr told me that General Electric was working toward launching a similar initiative called NextBuild, which would take the rapid prototyping ethos from the FirstBuild program and apply it to the company’s industrial businesses. Other mammoth-sized industrial companies are joining GE and throwing their weight behind Local Motors. Earlier this year the company raised an undisclosed amount fromAirbus Ventures in what was the first publicly disclosed investment from the newly launched venture firm. “Ultimately it’s going to benefit us all,” says MakeTime’s Parrish. “The goal of this whole game is to democratize the manufacturing floor to make things faster, better, and cheaper for a generation of entrepreneurs.” To make that happen, he adds, the whole manufacturing chain will need to be digitized. great shout out to Lexington based 3D printing companies.